Even state officials who pronounce their opposition to tax increases seem willing to hit up smokers in 2009. For whatever reason, imposing punitive taxes on an unpopular political minority is seen as an easy way to raise revenue for programs benefitting all society (not just smokers, but also users of hotel rooms, rental cars, liquor, fatty foods, and gambling). Dozens of states are expected to put cigarette tax hikes on the table in 2009, and we’ve had many requests for a map of cigarette tax rates. Here it is with one twist: we shade the states by how punitive their tax increases have been over the last quarter century. 15 states and DC (shaded dark blue) have raised their cigarette taxes to a level where they are at least ten times the 1983 tax rate (the “winner” goes to Alaska, whose 2009 cigarette tax rate is 25 times the 1983 rate). 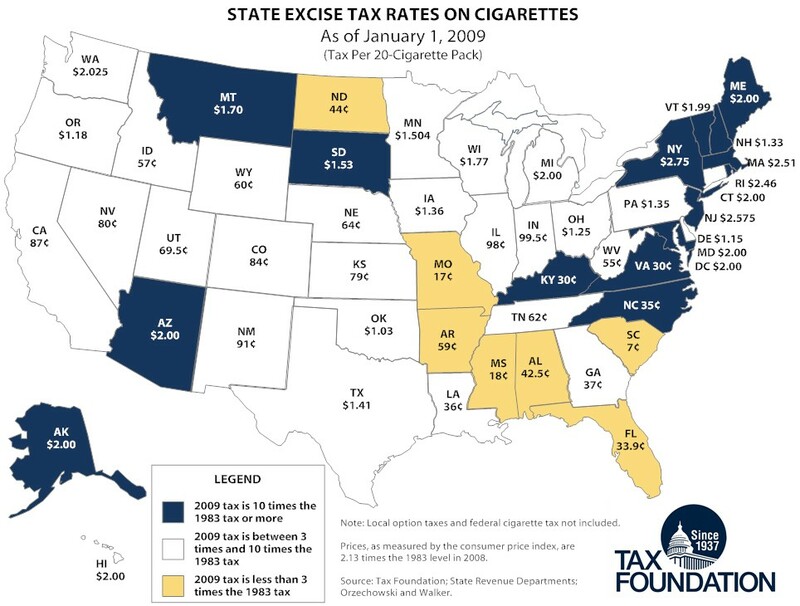 24 more states (not shaded) have raised their taxes between threefold and tenfold, and a mere 11 states (shaded light yellow) have “only” raised the cigarette tax to less than 3 times its 1983 level. Only South Carolina still has the same rate today as it did in 1983. Which begs the question: how high should the cigarette tax be? It seems that whatever the rate is, it’s always too low for tax proponents and revenue-hungry government officials. And that’s not even discussing the smuggling and associated violence. 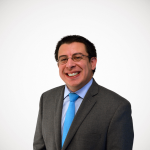 Thanks to Tax Foundation analyst Mark Robyn for compiling the 2009 data, and thanks to Orzechowski & Walker for the historical data.